Introducing the newest Fantasy Basketball Pros daily installment, Pickup of the Night, which will sort through the countless stats of the previous night and will find the pickup(s) that will help bring your team to the top. This is not just the best statline of the night by a player who is not generally owned, but it is the best pickup from the previous night’s performances. Pavlovic scored 24 points on 9-15 shooting with 5 three-pointers in the Cavs 101-99 loss to the Washington Wizards. Although his peripherals were lousy (1 rebound, 1 assist, 1 steal, 0 blocks), he did not turn the ball over at all. 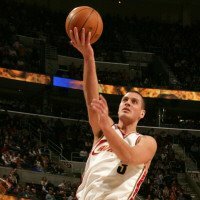 It seems like the addition that Danny Ferry needed before the deadline was actually for Pavlovic to return from injury, as Wally’s World has underperformed with Lebron. Pavlovic has sharpshooting abilities and will help a team in need of points and threes. Pietrus scored 16 points on a less than spectacular 6-13 shooting from the field (and 3-4 from the line), but contributed with 8 rebounds, 2 steals, 1 block, and no turnovers. 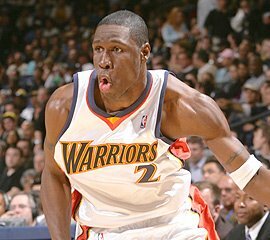 Pietrus may be available in some leagues, and with the style that the Warriors play, would be an excellent pickup. Yo MikeGood stuff here. But the big question is….can Sasha do this again?Every dog has his day, right?So, is Sasha a dog or can he actually do this again?